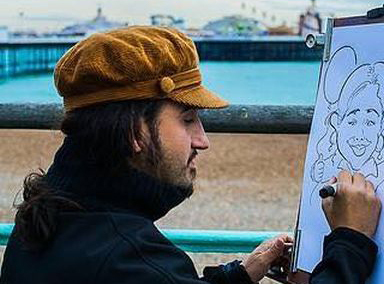 Looking for a caricaturist in Brighton? 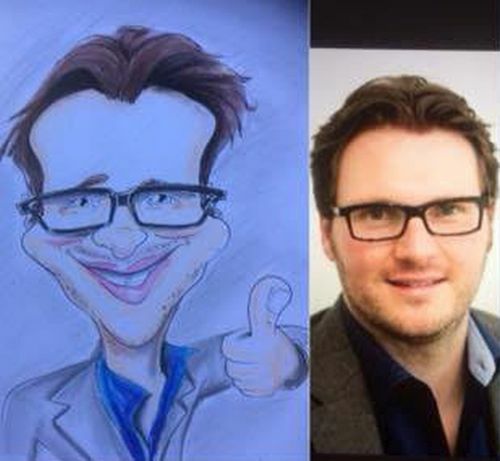 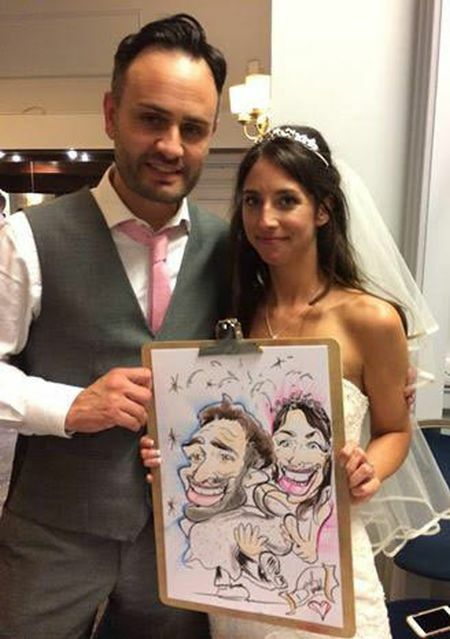 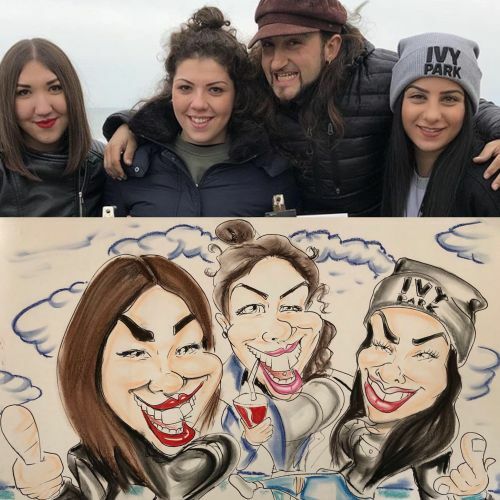 This professional caricaturist is based in Brighton and can perform his caricatures anywhere in the South East and can guarantee 20 to 30 personalized & funny caricatures per session. 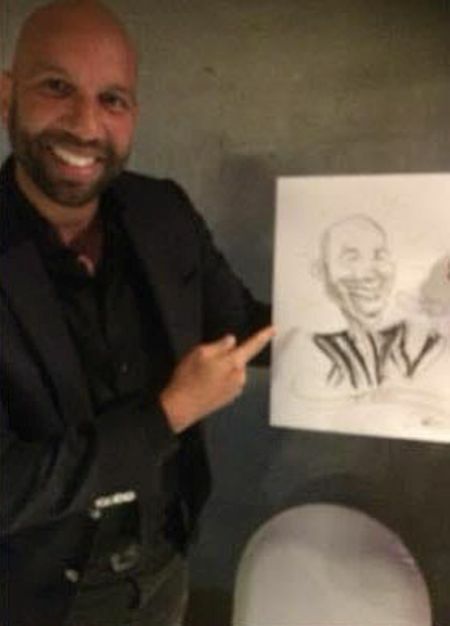 He is perfect for wedding entertainment and corporate entertainment and can work seated, standing or walking around. 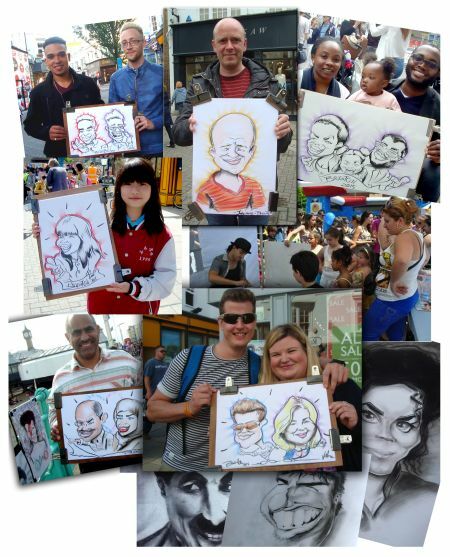 He uses a single each of paper for drawing individuals, couples or groups. 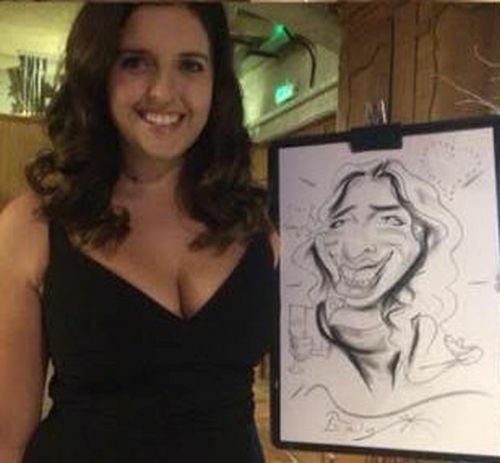 He takes approximately 5 minutes for a classic caricature or about 10 minutes if you would like a color caricature. 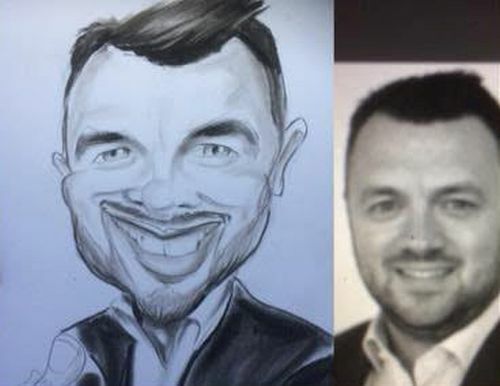 The likenesses of his caricatures are unmistakable and guests are always happy with the final outcome. 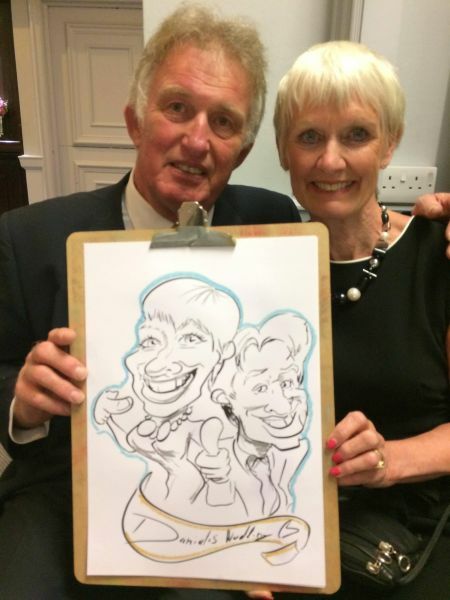 He will will engage with your guests and has a wealth of experience from many years of providing caricatures for events.